Great value, 2 sensor ports, easy to set up, economical monitoring solution. The ideal solution for small computer and server rooms. 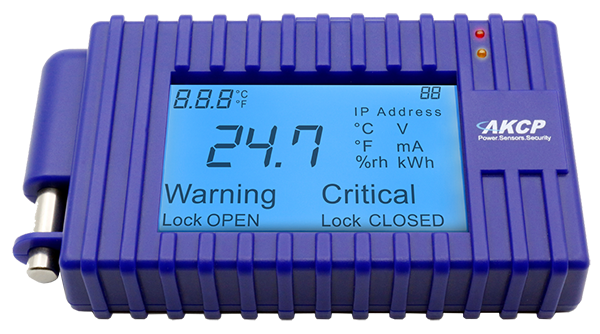 The sensorProbe2 is an easy to use, economical complete environment monitor for alerting to changes in temperature, humidity, flooding and much more. 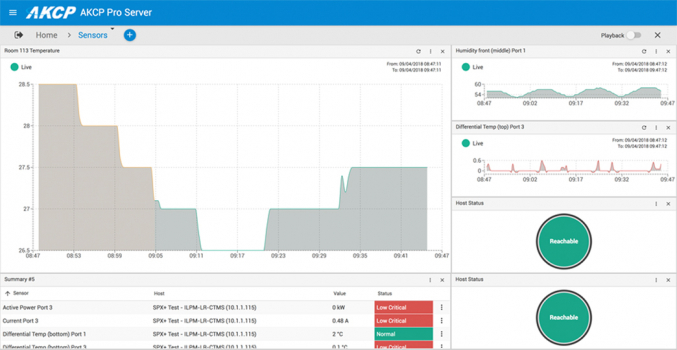 With built-in web-based software, the sensorProbe2 gives you an easy to use sophisticated Notification Wizard to alert to changes and to log and graph data. SensorProbe2 has 2 ports which can be used for any of the large range of sensors, including temperature, combined temperature & humidity, wetness, airflow, smoke, motion, power, combined siren & strobe light alarm. Not only that but probes can be placed up to 100m from the main unit and the unit will automatically find the sensors. The AKCP SensorProbe2 contains all of the software you require and is very simple and quick to set up. It logs your sensor readings and alarms when things go outside parameters you specify using the easy to use web administration system. 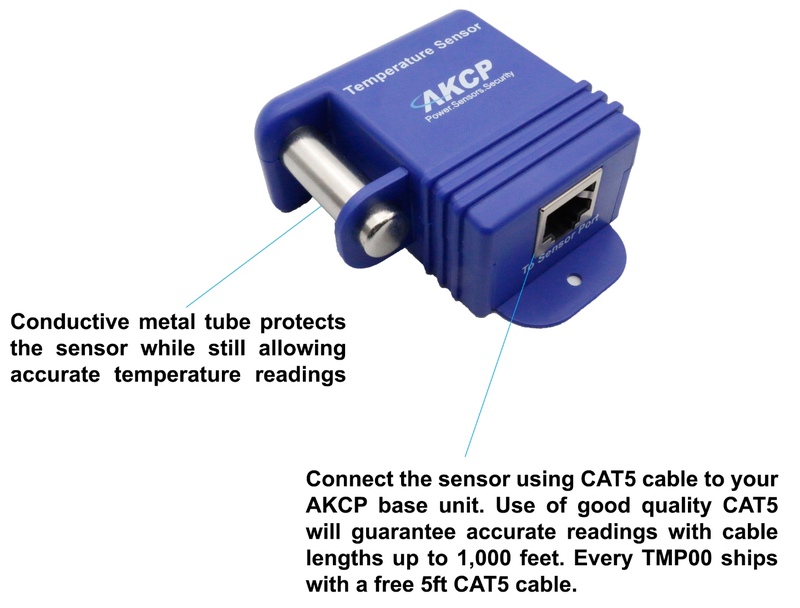 All AKCP environment monitors are fully extendable, new probes can be added at any time and multiple units, for instance, a SecurityProbe and SensorProbe2 can be monitored together using third party software. The SensorProbe2 is supplied without sensors (full range on this page to choose from). For the sensorProbe2 with Power over Ethernet view SensorProbe2 with PoE.